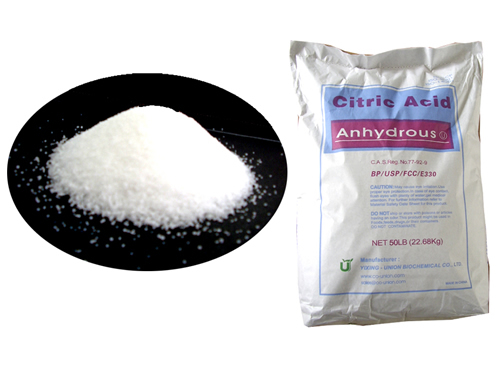 Jiangsu Guoxin Union Energy Co.,Ltd offers a wide range of products which includes citric acid anhydrous. Characters: it is colorless or white crystalline powder. Use: it is mainly used as an acidulant, flavorant and preservative preservative in foods and beverages. It is also used as an antioxidant, plasticizer and detergent, builder. Packaging: 25kg net bag, 50pound net bag, 500kg net bag, 1000kg net bag with pallet. Storage: it is kept in a light-proof, well-closed, dry and cool place. Contact us for more information. Your message will be sent directly to Jiangsu Guoxin Union Energy Co.,Ltd and will be answered at their discretion.